Join the hundreds of students who have learned how to freedive to depths of up to 10 meters in this comprehensive online freediving course. Ever dreamt of diving down to the sea bed when you're snorkeling? Ever wished you could shed the scuba gear and enjoy the beauty of the ocean free of cumbersome equipment? How about diving for free whenever and wherever you want? Learning to freedive used to involve a long drawn out course costing $400+. Thanks to this course you now have access to a complete freedive education and training programme enabling you to go from a complete beginner to a trained freediver diving to depths of up to 10 metres on just a single breath of air. In this course you will learn the essential freediving techniques broken down in simple step by step instructions. Each technique is clearly demonstrated with high quality videos and easy to follow exercises so that you safely master each technique before progressing to the next step. My goal is to turn you into a trained freediver and I'll be with you every step of the way. 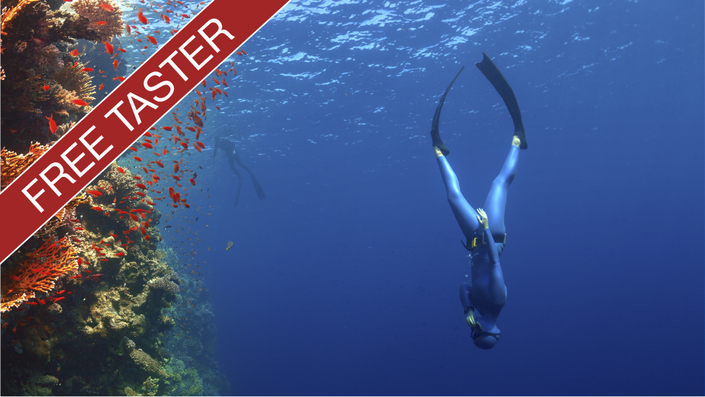 NOTE: This taster course gives you access to the first part of "The 10 Meter Freediver" for you to try for free. To enroll in the full course, please visit "The 10 Meter Freediver" course page. Hey! My name is Pete and I'm the founder and instructor at HowToFreedive.com. My passion for the ocean world started with scuba diving in the cold waters off the coast of England when I was 13. I soon discovered the beauty of Freediving and in 2014 I reached a personal best breath hold time of 6:42 whilst diving in Bali. I believe Freediving is a simple sport that should be accessible to everyone. So I founded HowToFreedive.com to demystify the sport, simplify the learning process and make Freediving accessible for anyone to learn even if they live hundreds of miles from the ocean. *"I've been scuba diving for years and always been intrigued by freediving. The 10 meter freediver course gave me the perfect opportunity to give it a go without having to travel far or shell out a fortune. Pete explained everything so clearly and I followed the exercises in the pool exactly as he described. I couldn't believe it when I came up after one of the exercises after a minute of being underwater! My local swimming pool is 3m deep, but I'm confident 10m will be easy now." *"My wife and I enrolled in The 10 Meter Freediver 2 weeks before our holiday to the Maldives. I knew we would be snorkelling lots so I wanted us to learn to freedive before we went. I was slightly sceptical that I'd be able to freedive to 10m after this course but I was so wrong. The techniques are so simple and easy to learn and the pool exercises totally prepared us for the ocean. My first dive in the Maldives I went to 12m and the whole time other snorkelers were asking me to teach them! This course made my holiday, thank you!" *"I got my PADI a few years ago and straight away fell in love with diving. I always saw freedivers around when I went on dives, I used to get frustrated that I always had to rely on a tank and a dive centre to go diving. So I looked around for a freediving course and a scuba buddy recommended Pete's course. It’s honestly the best thing I could have done. If you like scuba then you'll love freediving, it's such a different experience. Highly recommend!" 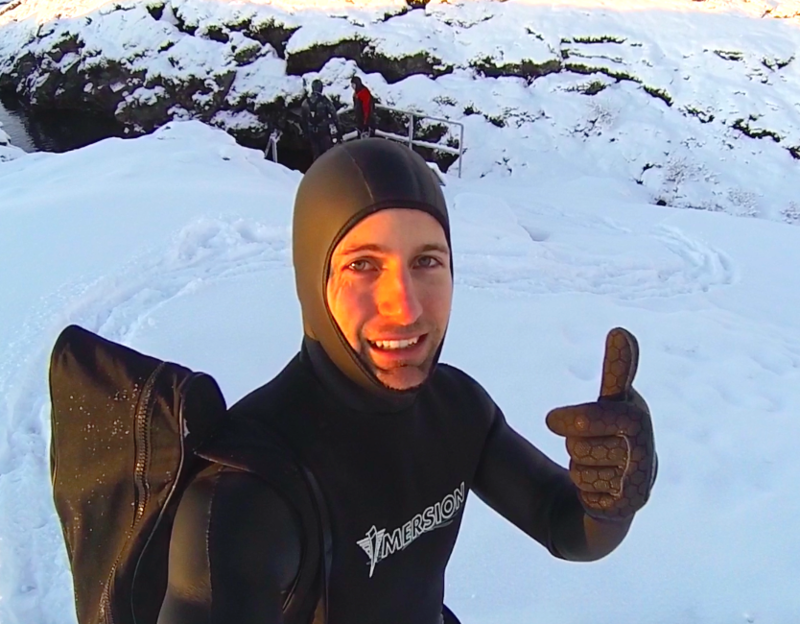 Can I really learn to freedive online? As a freediver, you are in complete control of your dive. No one can make you go deeper than you want or force you to hold your breath longer than you want. When we train we approach things with baby steps, adding to times and depths slowly so we’re always diving within our experience levels. It can be argued that freediving is a lot safer than scuba diving. With scuba you are totally reliant on high tech equipment. If this equipment fails then the consequences can be deadly. As a freediver you are only reliant on yourself and your buddy. Does this course enable me to freedive to any depth? This course is intended as a beginners course to freediving and therefore I strongly recommend to not use the skills you've learnt for deep freediving. If you want to dive to greater depths I would strongly recommend enrolling in an advanced course that takes you to your desired depth. For most recreational freediving, up to 10 meters is more than enough depth... plus it's in shallower water where all the fun is!